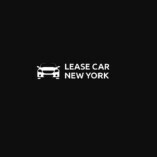 Auto leases in NY are growing quickly and many consumers are turning to them because they do not require you to be tied down to a vehicle for a long period of time. The leasing industry is beginning to see that they cannot keep up with the demands from consumers. Gone is the day when purchasing a vehicle made more sense than a lease.